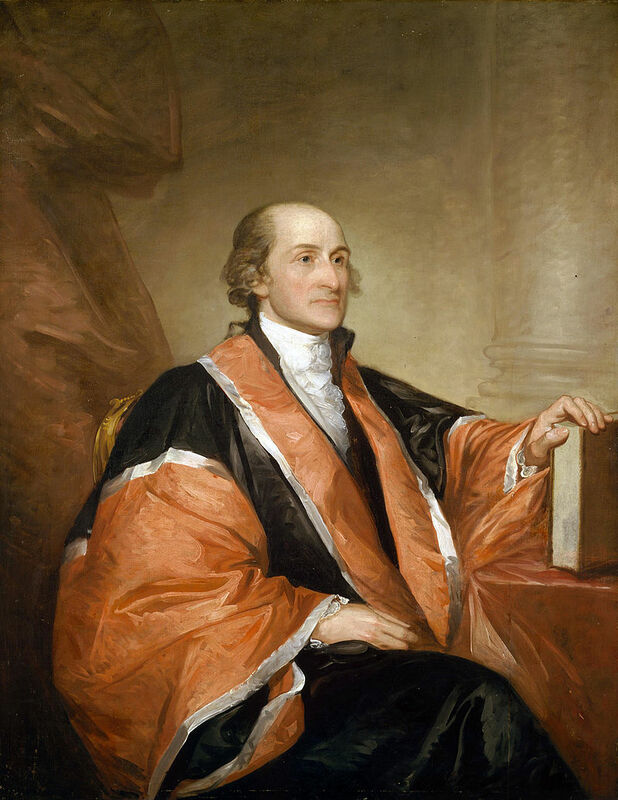 On this day, December 12, 1745, John Jay, the first Chief Justice of the Supreme Court is born. One Founding Father we don’t hear much about is John Jay. Jay was born in New York City the son of a successful merchant. He studied law at King’s College and worked in that field until the Revolution diverted his attention. Jay took part in the first and second Continental Congress’s and was the head of the committee that created the New York State Constitution. Jay was also a successful diplomat working with John Adams and Ben Franklin to negotiate a treaty with Great Britain. John Jay was a leader in his home state in the effort to ratify the Constitution writing two of the 85 Federalist Papers in support of its ratification. Jay was appointed the first Chief Justice of the United States Supreme Court under the new Constitution. After his service in the Supreme Court, Jay did more diplomatic work and then returned home to New York where he served as Governor the rest of his political career. After his retirement from politics Jay was elected President of the American Bible Society. His son, William Jay, wrote a large volume about his dad called “The Life of John Jay” which includes selected writings and letters of John Jay. On this day, December 12, 1745, John Jay, the first Supreme Court Chief Justice is born.